The leading women in Hollywood come in all shapes and sizes. The average American woman is only 5’4 and many actresses are that same height or shorter, but not all of them. Some actresses are taller than most and have found it can be both a good and bad thing. Many have openly admitted to struggling with everything from confidence, to refusing to wear high heels, and even finding clothes that fit. Others have loved their extra-long figures since they were kids and used it to their advantage. One of your favorite royals topped the list! Read on to see which ladies in the limelight tower over everyone else on the red carpet. The Game of Thrones and Star Wars leading lady had made a career out of her height. At a staggering 6’3, Christie plays up her height in her roles. In Game of Thrones, she plays Brienne of Tarth, a monstrous soldier who can fight with the best of them. In Star Wars, she’s a certified general. The queen of political television dramas has openly admitted that she never thought her height was to her advantage. In an interview with NPR, Janney said that when people ask her height, she says she’s “5 feet 12 inches” instead of just admitting she’s 6 feet. Janney even attributes her height to explain why it took her so long to start her career in Hollywood. Hopefully, she knows now it just makes her acting presence even more powerful. There’s no missing this fresh-faced model standing at 6’1. Karlie Kloss knows her height has made a difference on her modeling career and she loves it. Despite appreciating her height for work, she doesn’t exactly flaunt it off the runway. Kidman is one of the most elegant actresses in Hollywood thanks to her long, lean frame. It was only recently that Kidman became confident in her height. She was nicknamed “Storky” in high school and admitted that she was the girl no boys wanted to dance with. There’s a reason why Sigourney Weaver does such a good job as a female action hero. Her staggering figure makers her intimidating to men, women, and alien races. Weaver has talked about her height and how it has always affected her. According to her, she was already 5’10 by the age of 14. Any 14-year-old male or female would attract a lot of bullies in high school, but she paid no attention. Who’s laughing now? Everything about Tilda Swinton’s appearance in unique and makes you want to look twice. From the bleached blonde eyebrows to the alien-like cheekbones, she’s made a career out of her unique appearance. Swinton’s 6’0 statuesque frame has helped her separate herself from the crowd and own her appearance. Since Swinton has made a career out of being different, she’s never had a confidence problem with her height, and instead chose to embrace it. It seems like Leslie Jones has the full package and a big part of that is her height. Jones has a loud and proud personality and a body to match it. The Saturday Night Live actress is absolutely killing it with her comedy on the late-night show and has extended it to feature films like Ghostbusters 2. It would almost be strange to have such a commanding personality coming from someone only 5’2 or 5’3. 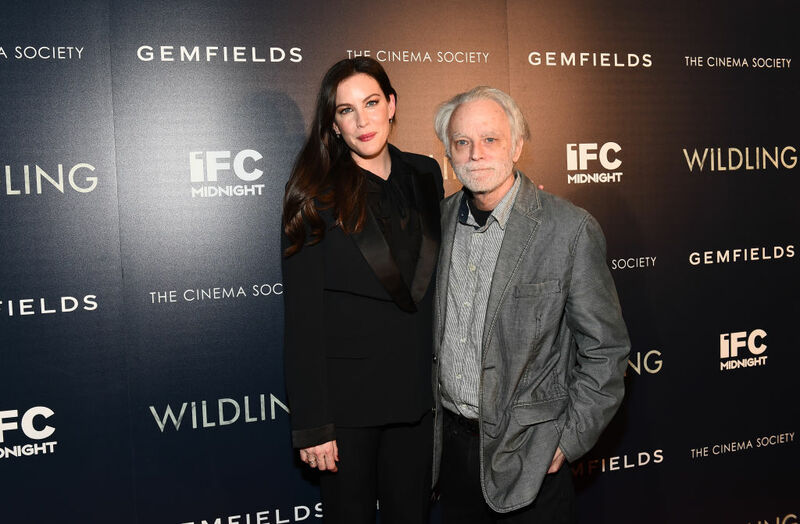 Elizabeth Debecki is a relative newcomer to the Hollywood scene, but that hasn’t stopped her from making waves and turning heads with her height. The Australian actress made her mark on Hollywood in 2013 after being cast in the role of Jordan in The Great Gatsby. Debecki downplayed her height in The Great Gatsby, but highlighted it a few years later when she landed the role of Ayesha in Guardians Of The Galaxy: Part 2. The Glee star has always embraced her height whole-heartedly. 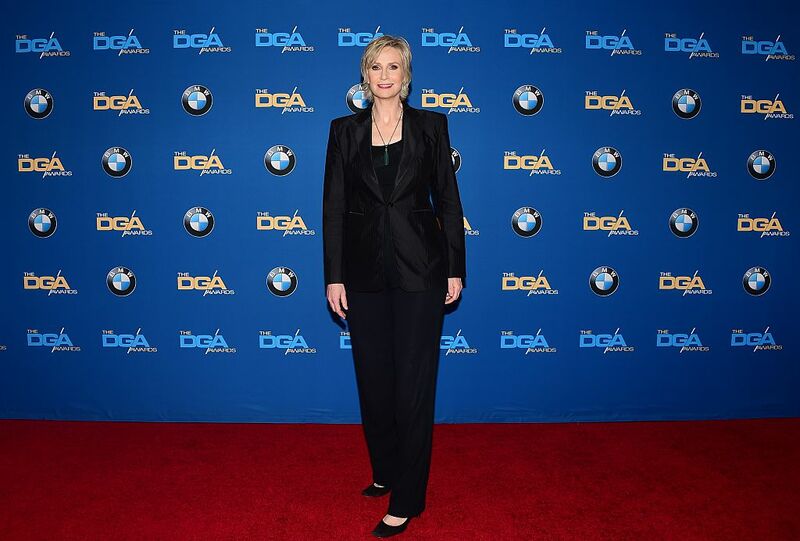 Jane Lynch shared with More magazine that her confidence with her height is all thanks to her mother. Lynch’s mom was 5’8 herself, which was pretty tall at the time. Lynch says she “taught us to carry ourselves” with confidence. Thanks to her mom, Lynch didn’t realize her height was so strange until she got to Hollywood and people began to comment on it. This acclaimed television actress has always towered over her costars. Tyler has worked on shows like Ghost Whisperer and Criminal Minds, and in both, she’s been the focus of the camera. Tyler admits that she’s “been giant from a very young age” but that it doesn’t stop her from acting. In fact, she likes taking on roles meant for taller ladies. Tyler even voiced Lana Kane from Archer, the female superagent known for being super-tall. In an ironic twist of fate, actress Geena Davis was once married to Jeff Goldblum, who himself is 6’3 and starred in the film The Tall Guy. While Goldblum embraces his height, Davis didn’t always. She’s admitted that she thinks her height was a hindrance on her acting career. In the early days of auditions, Davis’ agent would want to send her to modeling castings instead of acting ones. 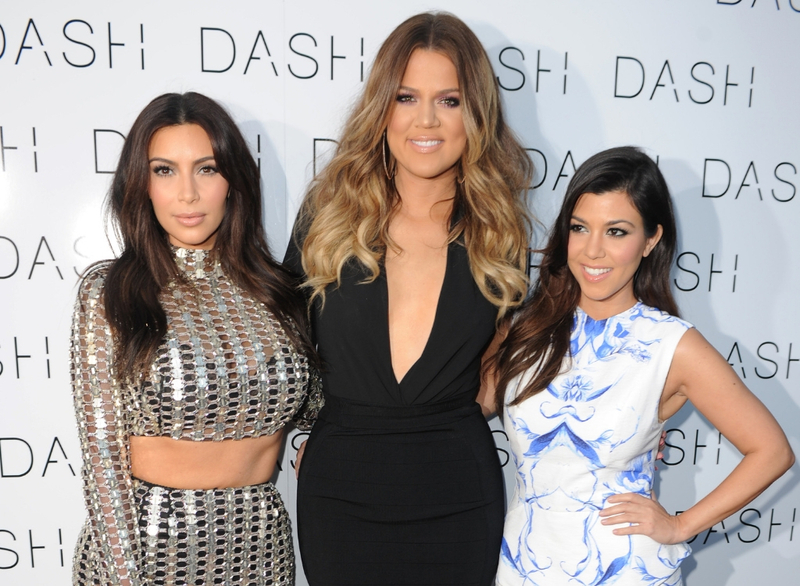 Being 5’10 is definitely being above average in height for women, but standing next to the other Kardashians used to make Khloe even more self-conscious. She’s been open about her struggles with confidence next to her sisters, and her 5’10 frame makes it harder when being photographed next to 5’0 Kourtney and 5’2 Kim. Khloe must feel a little bit better in family photos now that her half-sister Kendall has matured and grown to the same height. The fashion model stands over 6 feet in heels on the runway, which is basically a minimum in fashion nowadays. Jenner probably gets her height from her father Caitlyn Jenner’s side, since her mom Kris and sister Kylie only stand at 5’5. 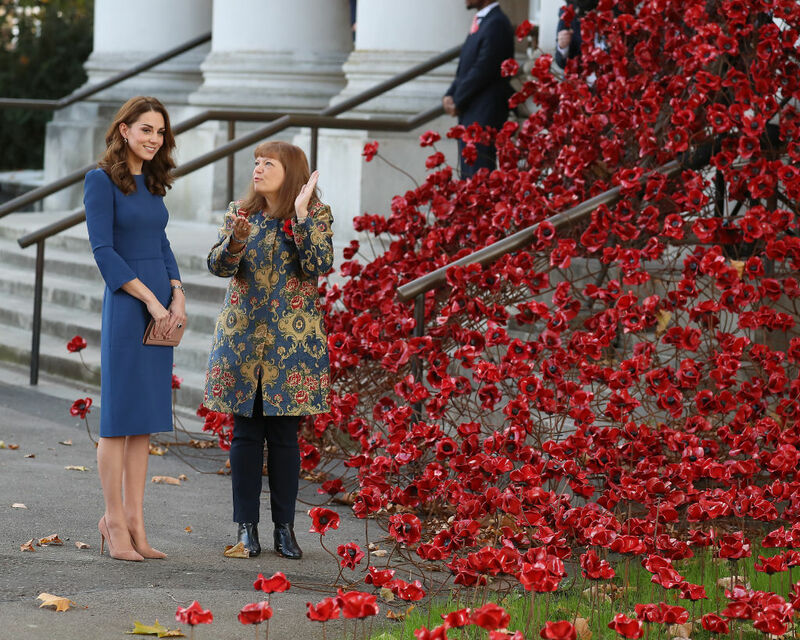 Many people don’t notice that the Duchess of Cambridge is 5’10 because she’s often standing next to her equally tall hubby. Prince William stands at 6’3 which means he’s never really dwarfed in photos next to Kate. Kate carries her tall, thin physique with grace and confidence and never shies away from wearing a pair of high heels. Interestingly, Kate shares this trait with Prince William’s late mother, Princess Diana, who was also 5’10. While most of the women on this list have struggled with accepting their height and have even tried to look shorter at times, Brooke Shields is the exact opposite. The former ’90s supermodel and actress says that she’s always loved her height and used it to her advantage. Shields says that to this day, she still tries to make herself look even taller and regularly wears the highest heels she can get her hands on. Even though we’ve seen Mandy Moore on television, movie screens, and the red carpet for years, we never realized how tall she is. Moore says she wasn’t always confident with her height because she had such a hard time finding clothes that fit. In 2005, Moore launched her own clothing line called Mblem. She says that one of her main goals with the fashion line was making sure clothes could fit tall girls like her. The model turned reality star has always been proud of her height. The Baby Phat founder has said that she was already 5’10 by the time she was 11, so she had to learn about confidence quickly. In order to help out, Kimora’s mother enrolled her in modeling classes. The modeling classes must have helped out because Kimora landed a modeling contract with Chanel by the time she was 14. This South African beauty is one of the taller actresses in Hollywood standing at 5’10. Her tall, slim figure worked at the beginning of her career by putting her on the map as a blonde beauty. Theron has actively tried to show she’s more than just a pretty face. Notably, this was taking the role of serial killer Aileen Wuornos in the film Monster. In real life, Wuornos was a mere 5’3, but Theron’s staggering figure made her all the more intimidating. Considering the fact that Ivanka used to be a model, it’s no surprise to hear she’s on the taller side. Still, we had no idea that she was pushing six feet tall. The Trump heiress has worked in fashion as well, so she knows how to dress her tall physique. This makes a lot of sense when you catch her standing next to her father. President Trump is 6’2 but looks short when flanked by his daughter wearing high heels. 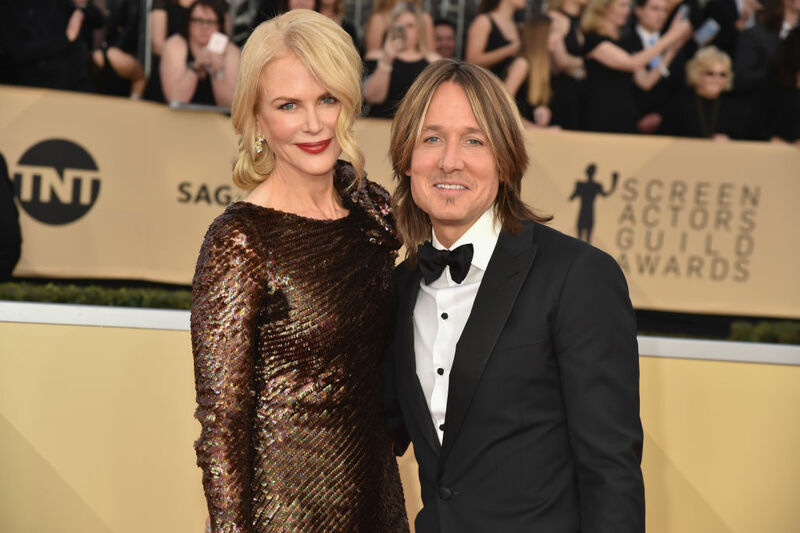 The country-turned-pop superstar has always had a long and lanky frame, but her 5’11 height didn’t set in until her 20s. While most females have their growth spurts earlier than males, Swift was the opposite. She calls herself the “latest developing human in the world” because she grew more than an inch in her early 20s. Swift is 5’11 but who knows, by age 30 she might break 6 feet. Liv Tyler has made good use of her height in different roles, particularly playing the tall, beautiful elf Arwen Undómiel in the Lord of the Rings franchise. Tyler didn’t have much of a problem accepting her height after she learned about her true origins. Tyler is the daughter of Aerosmith singer Steven Tyler, but she didn’t know it until she was 8 years old. Her confidence shot through the roof after she learned the truth, and now she’s actually the same height as her dad. In the same post, Sparks admitted that it might be an honest mistake because she loves to wear high heels so much. Michelle Obama is actually tied for the tallest First Lady in history with Eleanor Roosevelt, who also stood at an impressive 5’11. On the flip side, First Lady Eliza Johnson holds the record for being the shortest at only 4’9. 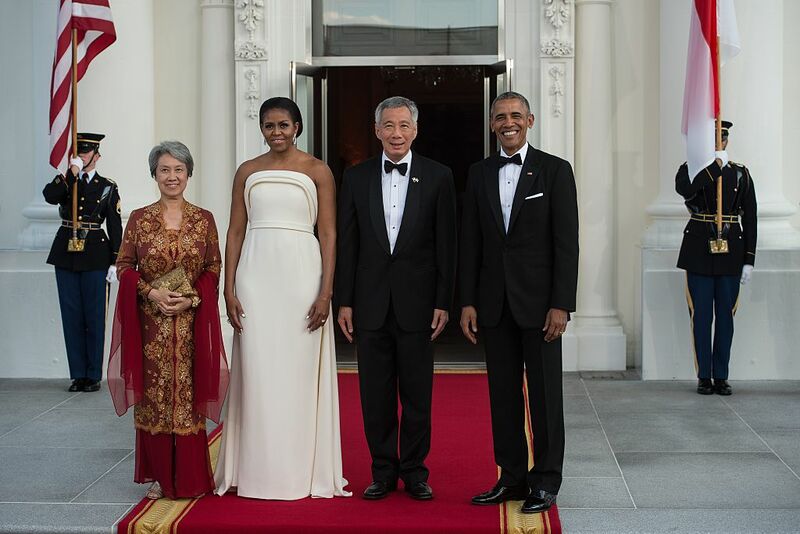 Michelle’s height never stopped her from accentuating her curves and wearing her favorite high heels at state dinners. Although, it was fun to watch her tower over some other heads of states. 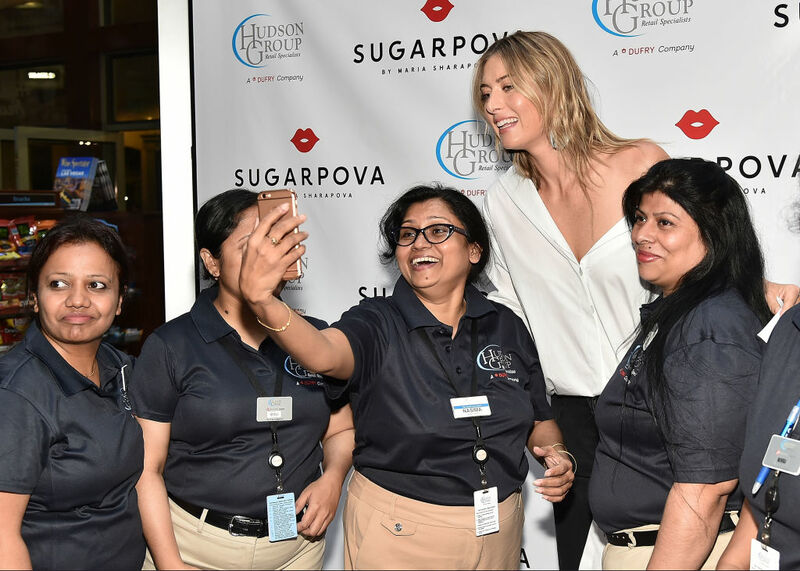 Not only is tennis player Maria Sharapova one of the tallest women in show business today, but she’s also one of the tallest female athletes. For context, Venus Williams is 6’0 while her sister Serena is only 5’8. The Russian beauty has used her height to her advantage to win 36 world tennis finals and 4 international tennis titles. Her height must not have been enough though as she failed a drug test in 2016. This model turned actress hasn’t always embraced her height, but not for confidence reasons. Romjin revealed that she had serious health issues growing up thanks to her lanky figure. She says she suffered scoliosis and felt to be in constant pain thanks to the growth spurt in her adolescence. Thankfully, she’s now grown out of the health issues and can use her height to her advantage. Still, she calls herself the “Jolly Blonde Giant” for fun. The former Gossip Girl actress might be tall, but she’s found a hubby that’s even taller than her. Lively is married to Deadpool actor Ryan Reynolds who stands at an impressive 6’2. Their two daughters are likely to grow up and be equally as tall. Blake Lively has said that she uses her height to her advantage and was often cast for being a tall, beach-goer with wavy blonde hair. Gal Gadot used her taller figure to her advantage when she was cast in the role as Wonder Woman. Like her predecessors, Gadot has made sure to focus on Diana, Princess of the Amazon’s physical feature. To get ready for the role she worked on adding muscle to her already tall frame to fit the Amazonian mold. It totally worked in her favor and maybe her confidence will inspire younger tall girls to feel like Wonder Woman. Johnston shut the bullies down when she landed the role as everyone’s favorite alien lieutenant Sally Solomon on 3rd Rock From The Sun. It’s no surprise that this Brazilian supermodel is on the top of the list for tall women in Hollywood. Gisele’s height was half the reason she had such staggering success in the ’90s. It seems like she’s finally met her match though in NFL quarterback Tom Brady. Gisele might be 5’11 but Brady is an impressive 6’4, which must be a nice change of pace for her.